Republicans have painted Supreme Court nominee Neil Gorsuch as a man whose character and legal scholarship are unimpeachable, but on Tuesday night he became the latest Trump pick to be accused of plagiarism. Politico and BuzzFeed reported that in several sections of Gorsuch’s 2006 book The Future of Assisted Suicide and Euthanasia, and in an article on the same subject published in the Harvard Journal of Law and Public Policy in 2000, he repeats the facts, words, and structures of other sources without citing them. The most egregious example is a summary in Gorsuch’s book of a 1982 case involving a baby with Down syndrome. Gorsuch repeats about 11 sentences from an Indiana Law Journal article by Abigail Lawlis Kuzma, omitting and altering only a few words and sentences. Rather than giving Kuzma attribution, Gorsuch cites the same sources that she relied on. In 1989 Humphry left his second wife, Ann Wickett, soon after she had undergone surgery for breast cancer. During the divorce, Wicket alleged that when Humphry purported to help her mother commit suicide, the resulting death was not fully consensual. In 1989 he left his second wife, Ann Wickett, shortly after she had undergone surgery for breast cancer. Their subsequent divorce was made messier by Wickett’s allegations that her mother had not died willingly when Humphry had participated in the suicides of her own parent. I have reviewed both passages and do not see an issue here, even though the language is similar. These passages are factual, not analytical in nature, framing both the technical legal and medical circumstances of the ‘Baby/Infant Doe’ case that occurred in 1982. Given that these passages both describe the basic facts of the case, it would have been awkward and difficult for Judge Gorsuch to have used different language. Watch Democratic Senator Jeff Merkley hold the floor with a 15-plus-hour marathon speech to protest Gorsuch’s nomination. Even if the possible plagiarism had been revealed a few weeks earlier, it probably wouldn’t have had a significant effect on the confirmation process. Forty-four Democratic senators have pledged to filibuster Gorsuch, and one, Oregon’s Jeff Merkley, staged a protest on the Senate floor on Tuesday night. 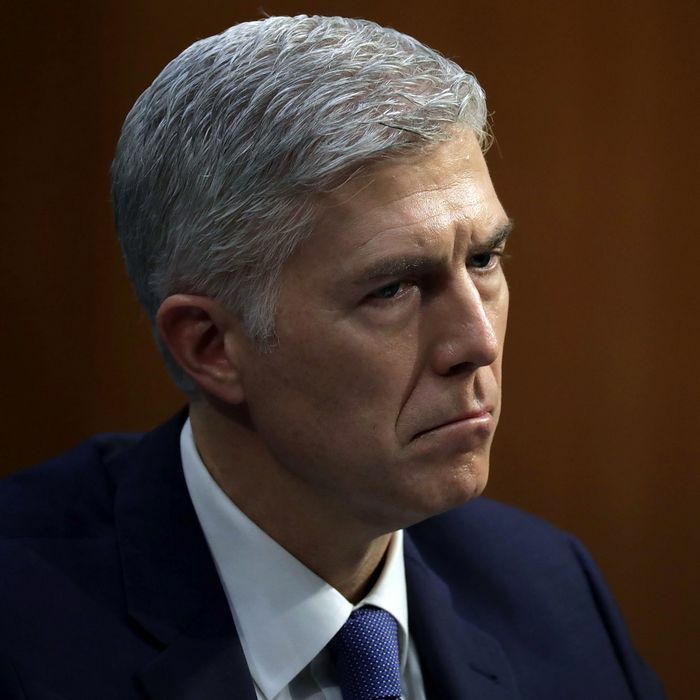 Complaining that Gorsuch’s views are too extreme and the Supreme Court seat was stolen from Obama nominee Merrick Garland, Merkley began speaking around 7 p.m. and was still at it ten hours later. Regardless, Senate Majority Leader Mitch McConnell is prepared to “go nuclear” on Thursday, and Gorsuch is expected to be confirmed by a simple majority vote on Friday.